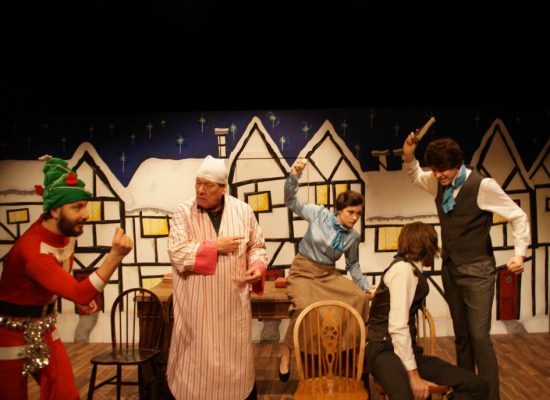 Reading Rep’s 2012/13 season began in December with a new adaptation of Charles Dickens’ A Christmas Carol. Christmas brings cheer to the curmudgeonly Ebenezer Scrooge. Locked in an airless and windowless basement room, two hit men await orders from Wilson, their all knowing but never present boss. Gus, haunted by the memory of the last job, knows that something is wrong when their normally faultless routine is interrupted by some mysterious happenings. Hilarity ensues as Ben and Gus try to discover who is sending the increasingly bizarre orders through the serving hatch.